A lot of weight is placed on responsible waste management in the agricultural industry, and Envirocraft are here to offer the ideal solution. We provide a diverse range of waste management services for a spectrum of industries across the nation – including the agricultural industry. Do you need anything else disposing of? Discuss it with our friendly experts today who can design a waste management plan to suit you. 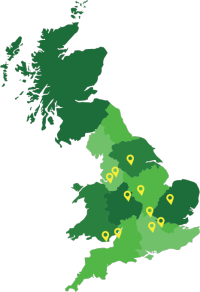 No job is too small or large for our team, thanks to our wide network of hubs and fleet of transport vehicles. This allows us to achieve a truly affordable and efficient service for all our clients.